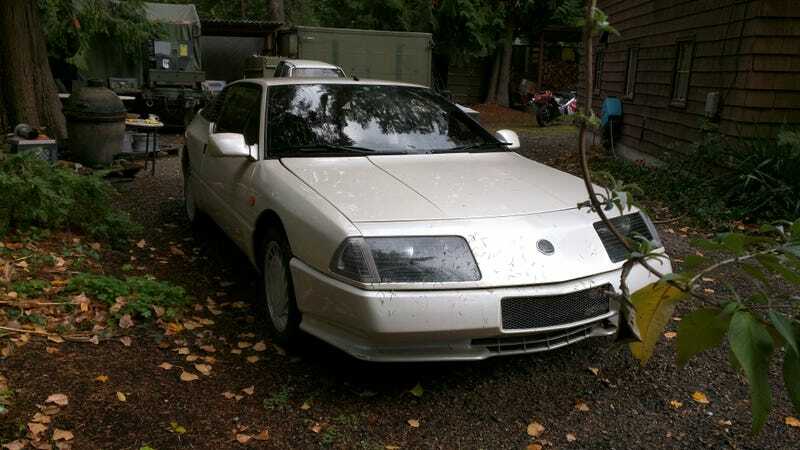 In which I look at the coolest car on Seattle Craigslist. A friend was looking for a Renault Alpine. This popped up locally. Definitely worth taking a look. Full, sad disclosure: He didn’t end up buying it, the owner sold it before he could. This thing was BEAT though. It had been sitting for around ten years, a definite project car, but dear god, what a project. The real bad part was that it was misfiring like hell. Still didn’t stop us from taking it out for a little drive. The interior was fantastic, with that godawful carpet and that oh-so-Japanese steering wheel and gauge selection. Still epicly 80s. Rear seats were surprisingly usable. The seller had some other interesting cars in his stable as well. So how did it drive? Well even with it misfiring, it was easy to tell how fantastic it could be. It got going fairly quick and the turbo lagged in the perfect way only an 80s car can pull off. Handling was tight, everything was placed well ergonomically, and it sounded awesome. The only way I can describe it is how a DeLorean SHOULD drive.